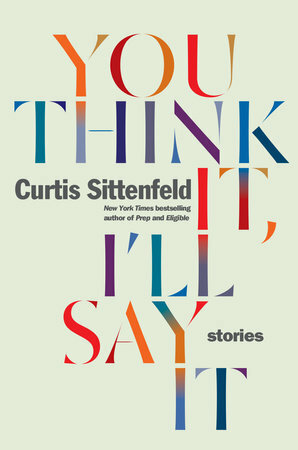 One of my favorite current fiction writers, Curtis Sittenfeld, has a new book that has just arrived on library shelves; You Think, I’ll Say It is her first compilation of short stories. Naturally I can’t wait to get my nerdy librarian hands on it! In the meantime, I thought I’d highlight her previous work which is definitely worth checking out! 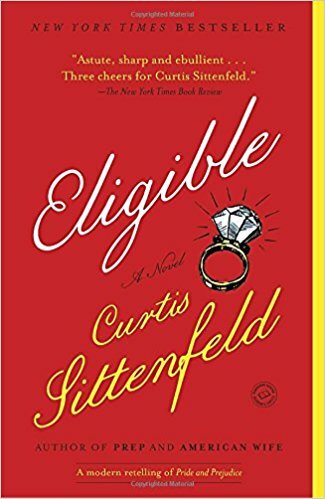 Sittenfeld’s novels often focus on socially awkward or “loner” women and girls, whether they are a scholarship misfit at a New England boarding school or the first lady. 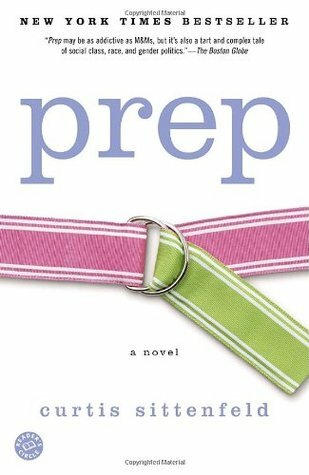 Prep (2005). 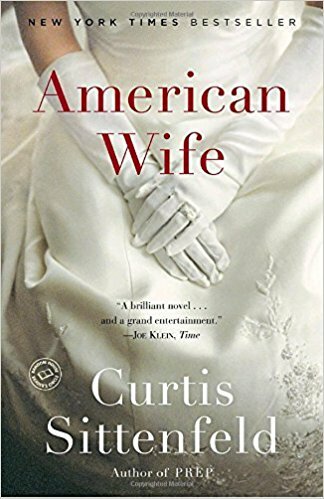 14-year-old Lee Fiora leaves her middle-class life in Indiana to attend the prestigious Ault boarding school in Massachusetts. Already somewhat of a social outcast, she finds her situation amplified by class and cultural differences with her mostly wealthy East Coast classmates. The novel takes place over a four year span, as Lee slowly learns to fit into her new surroundings until she self-destructs in an unfortunately public way. Lee is a somewhat unlikeable protagonist; she starts out the novel as being very judgmental and slowly learns to take on behaviors she once disapproved of. She also has a realistic crush/ quasi-relationship with a more popular boy named Cross. Even though Lee is a somewhat difficult person, I still related to her as a high school student (or even now!). She turns her criticalness in on herself, and thinks everyone is obsessed with her actions as she is with theirs. Man of My Dreams (2006). One of my essential reads, this book follows Hannah Gavener from early adolescence until late 20s. Like Lee, Hannah is largely lost in her own thoughts; she’s also her own worst enemy a lot of the time. Hannah’s father is a mercurial and emotionally abusive character, which causes Hannah to have a somewhat warped relationship with the men in her life. Her first boyfriend Mike is nice, if not terribly exciting, but future boyfriends run the gambit of emotionally unavailable. Hannah defines herself by her attractiveness and relationships with men. She sees herself as less attractive than her sister and cousin, and therefore feels slighted when they make relationship choices she disagrees with. Throughout the novel, Hannah longs for her cousin Fig’s ex-boyfriend, Henry, who she once bonded with on a car ride in college. 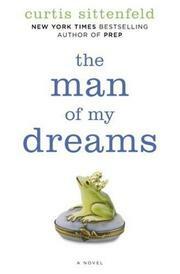 In her twenties, she and Henry become good friends, though she is too passive to ask for more. Hannah’s ultimate happiness rides less on romance than it does on redefining the lens she views the world with. American Wife (2008). Alice Blackwell is a somewhat shy person who becomes thrust into the limelight after marrying into a politically ambitious family. Alice is based loosely off of Laura Bush’s life; she’s a librarian from a small town who was in an accident in high school that resulted in the death of an acquaintance. This is a largely sympathetic portrayal of Alice. She goes into her early 30s thinking she’ll be alone for the rest of her life, but just as she’s about to buy a house, she meets her future husband at a BBQ. Alice comes from a Democratic background, but she loves her husband and outwardly supports him. Sisterland (2013). Somewhat of a departure from her other novels, Sisterland focuses on twin sisters, Kate and Vi, who live in St. Louis and have psychic powers. Kate is ashamed of her physic powers and okay to let them atrophy. Her sister, Vi, however, works as a psychic. When Vi goes on TV predicting a major earthquake to hit St. Louis, Kate has to deal with the ensuing media storm. 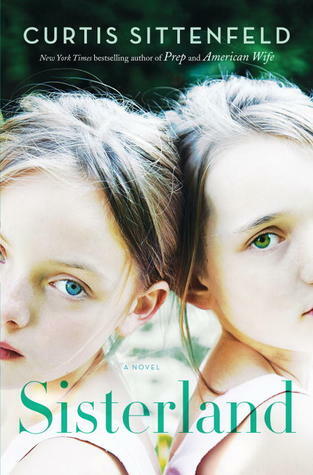 The book is not really a supernatural thriller; Sittenfeld has the sisters’ powers somewhat in the realm of believable. Instead it focuses more on the relationship between the sisters and their very different personalities. Eligible (2016). Part of the Austen Project where authors do modern retellings of Jane Austen novels, Sittenfeld sets Pride and Prejudice in present day Cincinnati. Lizzie is 38 and a magazine editor in New York City (like all good leads in a rom-com). She returns home when her father has a heart attack to find her siblings still living at home and mooching off her parents. Her father’s staggering medical bills threaten to make most of her family homeless. Lizzie stays to make the situation right. Her older sister Jane develops a crush on new doctor in town, Chip Bingley, and former contestant on a Bachelor-like show called “Eligible.” Lizzie meanwhile spars with his proud neurosurgeon friend Darcy.